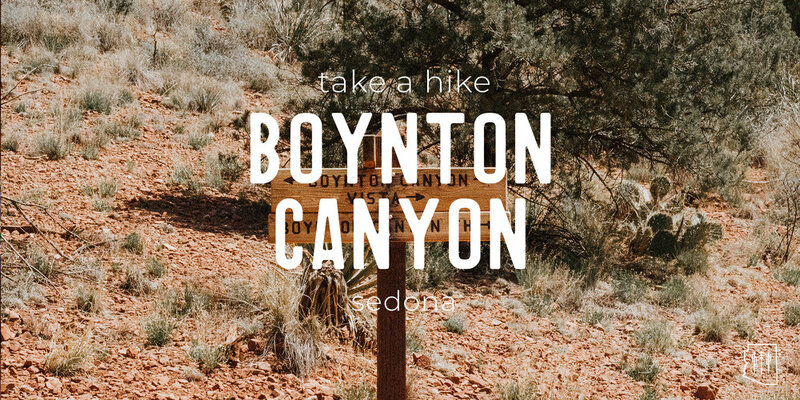 Boynton Canyon trail is one of Sedona’s many amazing hikes! It’s an easy trail that offers a luscious green scenery, stunning canyon walls at the end and has a steady incline throughout. You might also be able to catch a glimpse some wildlife while on this hike. The parking lot fills up quickly, so the best time to hit this trail would be earlier in the morning. This way you could also avoid the sun beating down on you! There is an outhouse at the trailhead so make sure to use it before you head out for this 6-mile trek! During the beginning of this hike, you’ll be walking alongside a resort. Some say the noise from it and the road nearby can get annoying, but it seemed almost unnoticeable to us. Keep an eye out for javelinas, we got to see a herd of them relaxing on the resort’s lawn. About a third of the way into the trail the trees start to thicken and become even greener. It almost feels like you’re in some type of Arizonian jungle. Due to this though it was slightly humid, and the mosquitos were definitely having a hay day. This is a popular hike, so a majority of the time you will have fellow hikers passing by. The last half mile up to the top is the steepest section of this hike, so watch for loose rocks here. Once at the top you’ll realize there isn’t much shade. There are a couple spots where trees offer some shelter, but most hikers end up just kicking back in the sun. The views from here are stellar, so bring a snack to munch on while you take it all in! As usual, the red rocks of Sedona never disappoint, the top is one of the best picture spots! There’s a trail that branches off within half a mile of the parking lot called Boynton Vista Trail. This is just a 0.2-mile hike that leads you to a vortex and also offers some great views! Overall this is a fairly easy hike, but it just ends up feeling very lengthy. This would be well suited for all skill levels of hikers. You are exposed to the sun most of the hike so make sure you bring enough water with you! If you are bothered by the heat try hiking this in the cooler months. Boynton Canyon is about 10 minutes from central Sedona. It’s located on Boynton Canyon Road and has a paved parking lot with a restroom. Pack it in, pack it out! There’s a picnic table at the parking lot, so pack a lunch and enjoy some nature! This blog was thoughtfully written by Gabby Martinez. You can find her on Instagram at @gabb.martinez. * Please remember to hike at your own risk. To learn more please refer to our Hiking Disclaimer.